Stanley Martin Hauerwas: "Dietrich Bonhoeffer on Truth & Politics"
One of the many fallout from the Sibu by-election in Sawawak in which the ruling coalition Barisan Nasional (BN) lost is the the money given to four Methodist churches in Sibu just before the polling day. as the Book of Proverbs say, poor but happy keeping a clear conscience. Please let us send a clear, unmistakeable and irrevocable message to the country and the world. As citizens and tax-payers we deserve to practise and observe our religious faith in peaceful and orderly fashion and we should get reasonable amounts of resources to enable us to do so. Any sitting government is welcome to sit down with us, discuss and understand in a timely and civil way our religion and our community’s needs and concerns regarding places of worship, burial grounds and our bibles in Bahasa Malaysia as well as how we will continue to serve all Malaysians in need through our social services. Provide the facilities and resources justly due to us but please don’t give us “special grants” only at the eve of by-elections. WE DON’T TAKE SUCH MONEY. No, thank you. Never under such circumstances. However it must be noted that in Malaysia, Christians often only get a break before by-elections or the general elections – approval of building plans, conversion of land for religious use or permit for large Christian gatherings. Is that Malaysian politics or God answering prayers? In 2-11 February 1990, a ‘long week’ that shook the world, beginning with the unbanning of the African National Congress and other political movements and culminating with Nelson Mandela’s release from Pollsmoor Prison. This is akin to the tearing down of the Berlin wall, events that we never imagine will happen. Here Jesuit Anthony Egan SJ reflects on the event. Memories of the seminal events that took place in South Africa twenty years ago this week, which ended with Nelson Mandela’s release from prison on 11 February 1990, will live long in the minds of those who experienced the atmosphere in the country at the time. Anthony Egan SJ describes the reaction to this crucial chapter in the struggle against apartheid. How did people of faith see these events as a sign of the coming of God’s kingdom? Barry Wain is Writer-in-Residence at the Institute of Southeast Asian Studies in Singapore. He was a former editor of The Asian Wall Street Journal. An Australian, Wain has spent 37 years as a journalist in Asia. This is an interesting book that is written by a journalist. 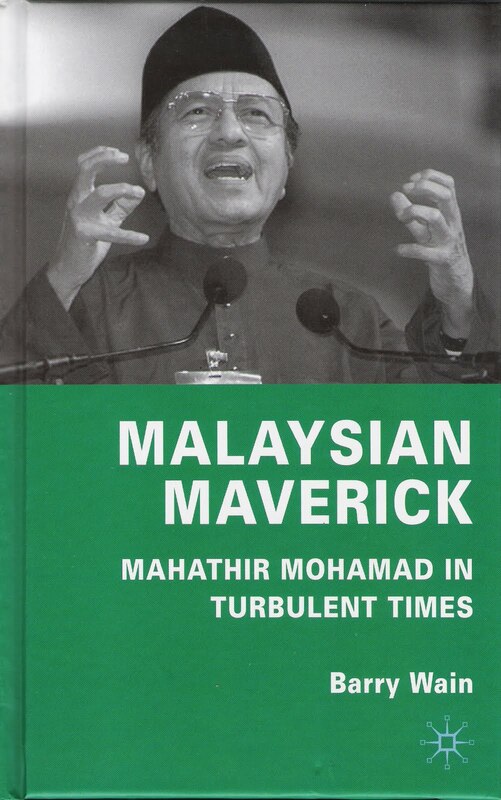 His aim was to present and review ex Malaysian prime minister’s term of office from the grassroot level.